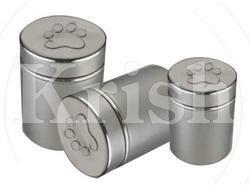 Customised Paper Canisters for Pharma, Liquor, Electrical & Electronic Products. Made from top quality materials, cannister sets are highly appreciated because of exclusive design and comfort in use. Vertical kitchen canisters are useful to store and keep cooking ingredients fresh for a long time. 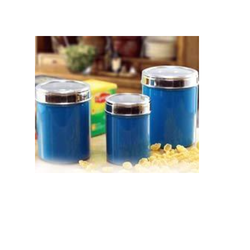 These canisters are available in different sizes to hold items in desired quantity. Stainless steel micky dabba or 3 Piece Set Storage Canister.